We all know that QR Codes look pretty dull and to be honest, we are the first to admit they have been mass abused by marketers day in, day out. When people think of QR Codes the first thing they do is go online use a free service, there are many and create a QR Code and link it to their desktop site. Epic Fail! This is not awesome guys! Think about it. How many times have you pinched and zoomed on a smart phone scrolling through a desktop site with heavy images and reams of content? Did you go back, the answer is no! Anyway enough of that rant, I going to show you something very cool here. Everyone wants more scans right and Custom QR Codes do have more appeal, and can drive more traffic to your mobile campaign. With our updated generator on azonmobile.com you can now generate your own custom QR Codes. We offer 2 varieties of custom QR's. The first one you can choose the body shape, the eyes and the markers, embed the logo and adjust the colors and pretty much style it how you want. The second one is my personal favorite which I am going to show you now. You can overlay a QR Code on an image and blend it effortlessly without having the skills of a ninja designer. Create a FREE account on azonmobile.com and once created click on Create a QR Code from the dashboard. Ok, now you are on the generator screen, first of all add a url and tick (Track QR Code if you need to be able to change the url later), Easy, right! In Step 3 under the body shape you can see 2 options one that says Blended Circle and one that says Blended Square. Lets choose Blended Circle, its my favorite. Click on Blended Circle and up pops the following box. Upload an image from your computer, make sure the image has no transparency. 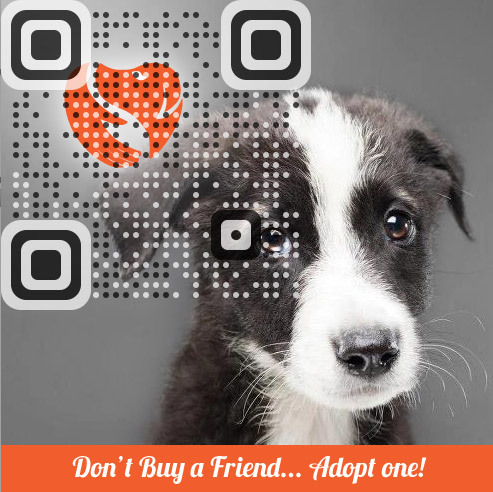 Ok, so now we have uploaded the lovely pooch and we are going to overlay the QR Code on the image. 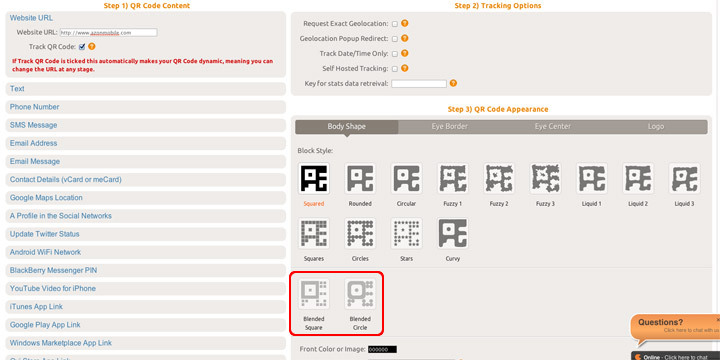 Adjust the QR Code image size by removing it and dragging it around the image with you mouse. Voila! you now have a beautiful image with overlay QR Code. Make sure and test the QR Code and test some more!